I am Nana, Director of Knightsbridge Village. Prior to founding the Village I had a successful City career with PwC. Leaving the City in 2012 provided a great opportunity to pursue a longstanding ambition to create a supportive network for like-minded parents in my neighbourhood. I read a Masters degree in Economics at the University of Edinburgh before qualifying as a Chartered Accountant with PwC. 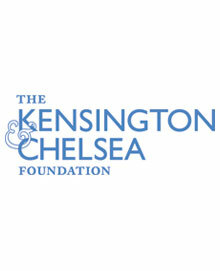 I am a Patron of The Kensington & Chelsea Foundation and have previously held various other voluntary roles. For the Library I will be writing about luxury family travel. My affinity for travel began at an early age as my diplomat parents moved around continuously, a spell in Addis Ababa was probably the most exotic. After six years at boarding school a gap year travelling in Europe and Southern Africa before university was enlightening. I spent my freedom years globe trotting extensively even spending my honeymoon in Borneo, much to the dismay of friends. With two young children often in tow, travel is now more about comfort and relaxation than adventure. In these pages I will also be blogging about another favourite pastime with great enthusiasm - treats - for grown ups. From fancy clothes and jewellery to time out sans enfants and delightful things for your home. I am of Ghanaian origin, educated in Scotland, married to a half Brit half German and settled in London. We live in South Kensington with our two children aged 11 and 7. I am, effectively, a typical Knightsbridge Village “resident”! When I grow up I want to be: A travel correspondent. Jenny is a Facilitator for the Parent Practice, a company which provides training to parents in Positive Parenting - both through group sessions, one-to-one meetings and workshops. It also presents extensively to parent communities in schools and corporates. She is a former banker, working in corporate finance in London and Hong Kong, followed by a stint living in Japan. Her background is a degree in psychology with a focus on child development. 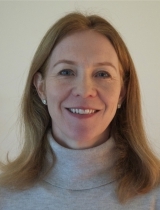 A busy lady, in addition to her role with the Parent Practice, Jenny chairs the Parents Association of the South Kensington prep school attended by her daughters, a role she finds equally demanding and rewarding! Jenny's interests include following the latest research on child development, dinghy racing, riding, family time and getting away for breaks with her husband. She lives in Chelsea with her husband and four children aged 13, 11, 10 and 7! When she grows up she wants to: feel she's had a life well lived. 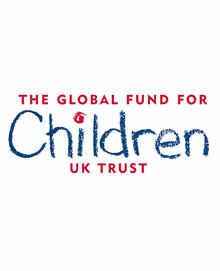 Rita is the Executive Director of the Rita & Charles Field- Marsham Foundation, the philanthropic organisation which invests in developing globally minded learners and leaders. 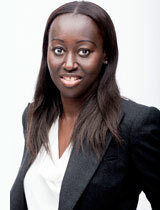 She is a Kenyan born lawyer, now active in numerous art and social causes. Rita has worked both in the private sector as a practicing lawyer and in the executive arm of government as prosecuting counsel at the State Law Office in Kenya. From 2005-2010 she served on the board of Young Patron’s Circle (YPC) at the Royal Ontario Museum, Canada. She is a co-sponsor and board member of KenSAP, a US based charity that, in 8 years, has placed over 110 Kenyan students at US elite colleges including Harvard, Yale, Princeton, MIT and Standford. Rita read Politics and Economics at McGill University and Law at the University of Edinburgh. She lives in Toronto with her Canadian husband and three daughters. Heidi has over 20 years experience in the media from documentaries in London and Normandy, to start-ups in San Francisco, Toronto and Boston. She co-founded Borderfree.com sold to Canada Post in the late 90s and consulted with other early Internet companies. While raising her two young children, she returned to writing full-time. She founded theEditorial.com where she interviews change agents and visionaries that seem to live and breed around Harvard and MIT and also blogs for the Huffington Post. Her debut novel, My Evangeline, is a modern take on Henry Wadsworth Longfellow's most famous heroine, Evangeline and was a finalist in the Amazon Breakthrough Novel Awards in 2012. Heidi holds multiple degrees in Graduate Journalism and Communication. She studied Advanced Screenplay Writing at Harvard and under Robert McKee in New York and LA. Her most recent screenplay is about the life of Gloria Steinem and the Making of Ms. Magazine. Heidi lives in Boston with her husband and two children, who are now 8 and 10. Jena is a Californian now based in the UK. She is a Senior Interior Design Consultant at Nicky Haslam (NH) Design. Jena’s interior work was forged in New York and refined in Los Angeles, where she established her design firm before relocating to London joining NH Design in 2000. Her work portrays a passion for glamour, playfulness and an inherent mix of wit and beauty inspired design. 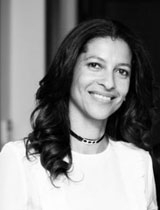 Over the past dozen years Jena has created iconic interiors in New York, France, Switzerland, London and Moscow. Jena studied Interior Design at the Parsons School of Design, New York. 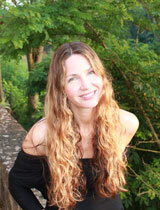 She also holds degrees in Archaeology and Art History from the University of California and Sorbonne University, Paris. In London she lives in Fulham with her husband and two young daughters. Jena is an altogether fabulous lady with a sunny disposition and a heart of gold. Cato was born in Oslo, grew up in Paris and moved to London 18 years ago. 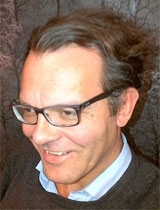 He lived in Milan for two years followed by a short spell in Geneva and has travelled extensively. Cato has degrees in Political Science and Economics from Sciences Po in Paris and SDA Bocconi in Milan. After a decade in banking with Citi and Deutsche Bank, Cato founded Capital Analytics LLP, a boutique advisory firm in the transaction banking industry, some nine years ago which he runs with colleagues from their offices in Knightsbridge. He has two children, a boy aged 11 and a girl aged 9 and spend summers between Cap Ferrat and a small island in the Oslo fjord. Cato developed a passion for food and wine whilst living in Paris and has spent the past 25 years drinking, collecting and investing in (in that order) wine. Omnivorous, he enjoys almost all types of food but will occasionally draw the line at local delicacies such as fermented shark meat, boiled sheep’s head and various offal dishes. Cato’s other interests include the usual boy’s things like cars, watches, music and hifi and some aspects of these hobbies may sneak into his food and wine scribblings from time to time. 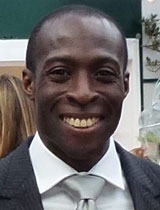 Ayo is the Club Manager in charge of Matt Roberts Personal Training on Brompton Road in Chelsea and has been a Personal Trainer for more than a decade. He holds a degree in Sports Science, as well as wide-ranging qualifications covering Strength and Conditioning, Sports Therapy and Nutrition. He has a keen interest in martial arts and has competed in tournaments at National and International level. Ayo has trained hundreds of clients (and trainers!) to achieve a diverse range of goals, from rapid and long lasting fat-loss to improved posture. He enjoys participating in sporting challenges and has completed various hikes, assault courses and expeditions in recent years including the Marathon des Sables, a 150-mile race across the Moroccan Sahara, in April 2011. Ayo has a refreshing approach to fitness and nutrition. He believes food should be savoured, movement should be fun, and advice for both should be based on realism and research.